6 Round Box. Current loading: 260gr Raptor Hollow Point, NON-Sabot, 2075fps. Recommended for barrels with a 1-23 or 1-24 twist rates. 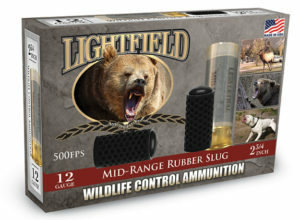 Categories: Ammo, TarHunt 20ga Schrifle. 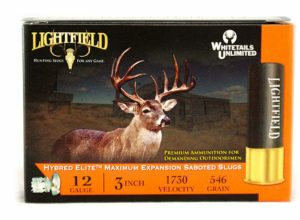 From Oct-1, thru as long as they last,TarHunt is releasing a 6-round writer/sample box in the new 20ga Schrifle NeoTec series: a 365gr (non-lead) Copper slug in a generic white box. The all new 20ga Schrifle: NeoTec Copper 365gr @ 1800fps slug is 0ur heaviest, flattest shooting, excellent expansion, as well as an 85%+ weight retention. Find out much more on the home page by clicking on the red [learn more tab]. The Schrifle rounds typically produces 12% less serious flyers than any other current sabot-discarding production round. Current loadings: Recommended for use in all known 20ga twist rates. The new 20ga NeoTec Copper 365gr (non-lead) slug is Destin to be the industry leader in slug performance when fired in true SAAMI dimension rifled barrel. 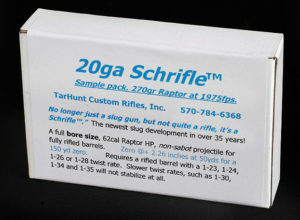 The 20ga “Schrifle” will not work well when used in the H&R 960 slug gun with it’s 1-35 twist and oversize bore. I can not make a 20ga Schrifle round work in the H&R 960-20ga because of there over size bores! WARNING: You must be 18 or older to purchase rifle or shotgun ammunition. All ammunition will be shipped ground UPS. 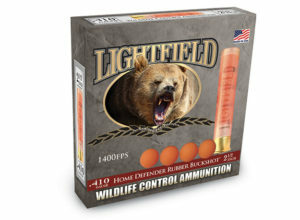 For safety reasons, we do not accept returns on ammunition. Always make sure you use the correct ammunition for your specific firearm. Check your local laws for any other regulations. For more information, please visit our Purchasing, Cancellations, and Returns policy page. ATTENTION: Residents of CA, Del., D.C., IL. (FOID card), Mass., NY. and Ohio please check your local laws for restrictions before ordering any ammunitions products. For more information, please visit our Purchasing, Cancellations, and Returns policy page.